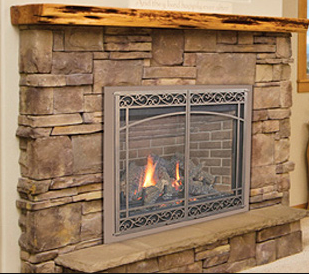 How do I light pilot light on gas fireplace? When and how do I change my furnace filter? IMPORTANT: This document is not intended for you to do your own maintenance, but an answer to many questions that many residents have asked. Some of these suggestions are simple and some are involved. If at any time you choose to safely attempt any of these and are unable to safely perform such, please submit a maintenance request through the Tenant Portal. What if I lost power or need to reset the circuit breaker? 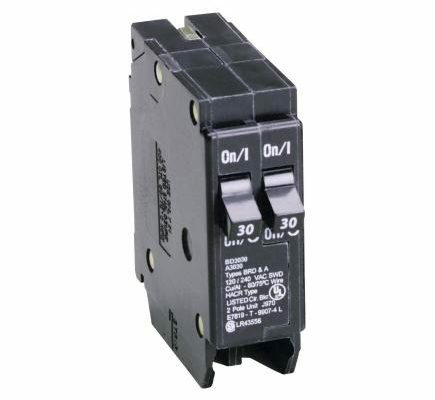 A circuit breaker is an automatic device for stopping the flow of current in an electric circuit as a safety measure. Before electricity can be restored, the circuit breaker must be reset. However, even before you do that, you must take steps to ensure that it is safe to do so. Turn off or unplug all of the devices that are plugged into the circuit. Make certain no dangerous condition exists before restoring power. A Circuit Breaker which has been tripped will either be in the middle or “OFF” position. Locate the tripped circuit breaker and reset it by pushing it all the way to the “OFF” position and then back to the “ON” position. Often when you cannot reset the circuit breaker, it is because it must be turned all the way to the “Off” position first. What if I lost power to the bathroom, kitchen, or outside? A GFCI (Ground Fault Circuit Interrupter) outlet, usually a duplex outlet as shown, provides electrical shock protection and prevents the risk of electrical fire caused by ground fault current. At times, outlets and electrical devices may share the same circuit and breaker (or fuse). When a properly wired GFCI trips, the other devices down the line from it will also lose power. Note that devices on the circuit that come before the GFCI are not protected and are not affected when the GFCI is tripped. If you have an outlet that doesn’t work, and the breaker is not tripped, look for a GFCI outlet which may have tripped. The non-working outlet may be down line from a GFCI outlet. Note that the affected outlets may not be located near the GFCI outlet; they may be several rooms away or even on a different floor. Pressing the “Reset” will restore the circuit. If the outlet doesn’t reset, then whichever appliance that is causing it to trip, may still be plugged in. If after unplugging everything, checking the circuit breaker or fuse, and resetting the GFCI does not work, please submit a maintenance request to sovereignrm.com right away. Step 1: Turn off or unplug all of the devices that are plugged into the circuit. Make certain that no dangerous condition exists before restoring power. Step 2: Replace the fuse with a fuse that is of the proper rating for the circuit. For instance, if the circuit is rated for 15 amps, use a 15-amp fuse. Never use anything other than a fuse of proper rating. Step 3: When removing or inserting a new fuse, NEVER touch the metal parts of the fuse. If your fuse box is equipped with a master switch to cut power to the fuse box, cut the main power before replacing the fuse. Step 4: Electricity should now be restored to the circuit. If the fuse blows again before you have turned anything on or plugged anything in, submit a maintenance request to sovereignrm.com right away. If the fuse blows after plugging in or turning on a device, that device may have a short or it may be placing too much of a load on the circuit. If no fuses were blown and you still do not have power at an outlet, make certain that the switch, if any, that controls the outlet is turned on. If you can find no problem, the outlet, switch, wiring or some other component may be at fault. Also, the outlet may be on a GFCI branch circuit. Refer to the guide for checking a GFCI circuit. 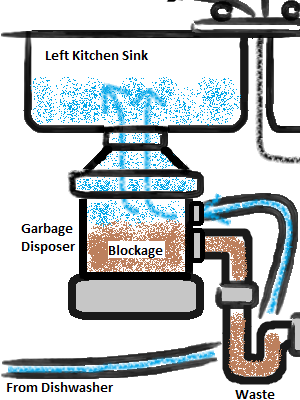 How do I unjam or unclog my garbage disposal (food waste disposer)? First things first, NEVER put your hand in the disposal nor pour any type of fats, oils, and grease in a garbage disposal, or down a sink drain for that matter. Those materials collect inside the plumbing pipes and are usually the cause of many plumbing issues. No needles, razors plastic or glass. What can I put in the food waste disposer? Turn off the power to the jammed disposer and unplug it. Look inside the opening with a flashlight to see what is jamming it. Remove the waste using small tongs or pliers and restore power. Run the water in the sink, turn the power back on, and try to run the disposer again. Tip: If it’s a particularly difficult clog, while the power is still off, insert a broom handle into the drain opening and try to free the impellers (grinder). Turn off the power. Check the bottom of the unit; find the reset button and press it, then turn on the power to test. If the disposer is still stuck, turn the power back off and insert a ¼-inch Allen wrench into the hex socket on the bottom. The socket is connected to the impellers that crunch up the waste. Using the hex key, turn the impellers in both directions to free them up. 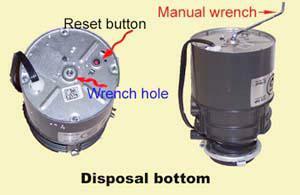 Do not try to loosen any nuts or bolts inside the grinding chamber, as they hold the unit together. Turn the power back on and try again. Usually there is an Allen wrench tool specifically designed for garbage disposals, insert it in the hole on the bottom of the disposal and turn it (back-and-forth) until the impellers are free. Make sure the disposal is not clogged – see item 4 if disposal is jammed. 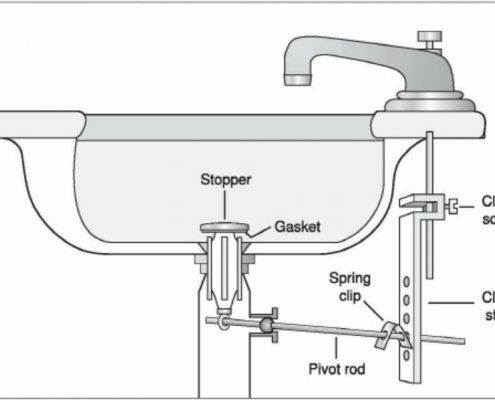 Run a steady stream of cold water into the sink before turning on the garbage disposal. Ensure that waste is cut into relatively small pieces – Your garbage is only so big, and its blades and motor are built to match, so you shouldn’t expect miracles when it comes to grinding up large chunks of meat or fruit. One of the best ways to ensure your disposal’s longevity, make sure you cut your waste into smaller chunks and only feed them into your disposal a few pieces at a time. Otherwise, it is very easy to overwork your disposal and clog or jam it, or even worse, break it altogether. Grind citrus fruit – Soap and cold water can go a long way in keeping your disposal clean, but every once in a while, you can toss in the peel from an orange, lemon, or lime to help keep things fresh and clear any excess waste that may have built up in the disposal. This can also help to eliminate unpleasant odors. What to do if I smell gas in the house? Natural gas is a popular fuel for home and water heating. Unfortunately, if you have natural gas appliances, there’s always a small risk of a gas leak—which could cause a fire or explosion if the leaked gas comes in contact with a spark. Breathing air with high concentrations of natural gas can also cause asphyxia and possibly death. That’s why you need to take potential gas leaks very seriously. Learn what signs to watch out for and what to do if you discover your home has a gas leak. While natural gas is odorless, colorless and tasteless, utility companies add a sulfur-like odor to the gas that enters your home so you have an effective way to detect a leak. If you smell rotten eggs with no apparent source, it could mean you have a gas leak. What If You Think Natural Gas is Leaking? Don’t do anything that could cause a spark. This includes flipping a light switch, unplugging electrical devices or using a phone (landline or cell). Put out anything currently burning. This includes snuffing out cigarettes and blowing out candles. Don’t light a match, stove, or cigarette lighter if you suspect a gas leak. Open windows and doors to let fresh air inside. Turn off the gas supply at the meter and keep it off until deemed safe to turn back on. Standing a safe distance away from your home, call 911 and your gas provider. 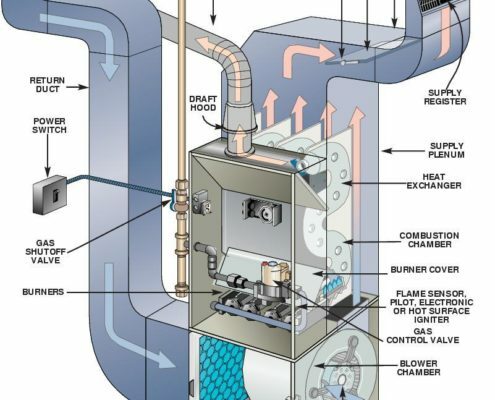 How do I light a pilot light on a gas fireplace? Submit a work order immediately to sovereignrm.com annotating all observations about the problem. First, if you wish to use your fireplace, read your fireplace manual. You will need to have an annual inspection and cleaning done by a certified chimney sweep. Look around the base of the fireplace and locate a small metal hole; this is the keyhole. The keyhole is usually located on the floor just in front of the fireplace, but can also be located on the lower portion of a nearby wall. Grasp the handle of the key, which looks like a metal rod. Insert the square end of the key into the key hole until it stops. Jiggle the key slightly until you feel it lock into place inside the keyhole. Turn the key counterclockwise approximately 1/2 turn to release the flow of gas into the fireplace logs. Insert the end of long butane lighter near the center of the gas logs where the gas tube is. Press the trigger on the lighter to produce a flame and ignite the gas logs. Insert the key back into the key hole to increase or decrease the height of the flame as desired. Turning the key counterclockwise increases the flame and turning it clockwise decreases the flame. Is your water gas or electric heat? Check that a fuse hasn’t blown or that the circuit breaker hasn’t tripped. 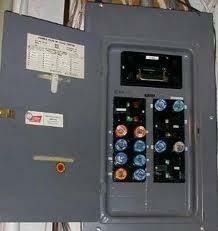 Replace with the appropriate fuse or reset the circuit breaker. If the hot water is gas heated, check if the gas is on or the pilot light is out. Did the Gas Company shut off the gas? Changing your furnace filter every two – three months helps to keep your furnace running at peak efficiency, and helps to prevent pollutants from entering your living space. Fortunately, replacing a furnace filter is a pretty simple task, once you know what you’re doing. There are ways to botch the job, however, for example by buying the wrong furnace filter or putting it in backwards, which could block the flow of air instead of cleaning it. Here’s how to do the job properly in three simple steps. Step 1: Check that you have the correct replacement filter on-hand. Turn off the furnace. Step 2: Remove the used furnace filter, which will be located inside the furnace or inside the return air vent. Look for an arrow on the filter indicating airflow direction. Using a permanent marker, draw the airflow direction on the outside of the furnace, so you’ll always know the right way to install the filter. Then note the furnace filter size, which will be printed on the cardboard frame. Step 3: Install the new filter. 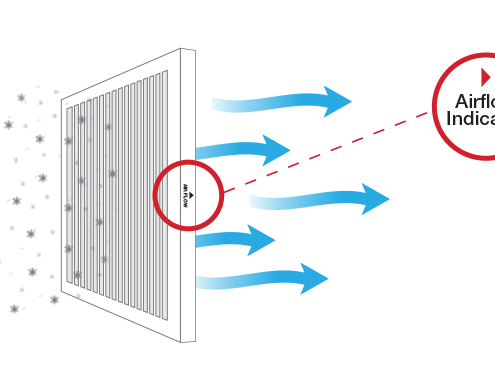 Look for the markings that tell you which side of the filter should face the furnace. Always point the arrow towards the furnace. Then slide the filter back into place and replace any cover that goes over it. Step 4: Keep a record of the date so that you’ll know when it’s time to change the furnace filter again. Put the next change reminder date in your calendar as well. Step 1: Check that a fuse hasn’t blown or that the circuit breaker hasn’t tripped. Replace with the appropriate fuse or reset the circuit breaker. Step 2: Check the furnace filter. If the filter is dirty it needs to be replaced. Step 3: Check the thermostat. Make sure the batteries are good and that temperature isn’t set too low if the inside temp is high inside. Step 4: Check the outside unit (condenser) to see if the fan blades are moving and that the unit is not iced over. Step 5: Some AC units have a light switch right next to the furnace which turns the furnace and AC off. Because this switch is identical to a light switch, it gets turned off by mistake. Simply check any nearby switches. If they don’t turn lights on and off, they may be turning the furnace and or AC on or off. If after checking the above and you still do not have air conditioning, please submit an on-line maintenance request. Step 3: Check that there is nothing obstructing the airflow from the heater or heater vents. Step 4: Electric furnaces, not baseboards or cadet heaters, often have a light switch right next to the furnace which turns the furnace off. Because this switch is identical to a light switch, it gets turned off by mistake. Simply check any nearby switches. If they don’t turn lights on and off, they may be turning the furnace on or off. If after checking the above and you still do not have heat, please submit an on-line maintenance request (work-order). Within the request, please annotate the condition of your furnace filters and the status of any steady or blinking red lights. Check that your thermostat is on; heat is selected, and is set at a temperature that would call for heat (not too low). If after checking the above and you still do not have heat, please submit an on-line maintenance request. Within the request, please annotate the condition of your furnace filters and the status of any steady or blinking red lights. 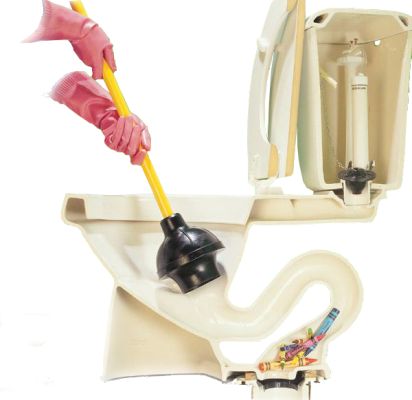 When there is a disposal installed, follow the unclog process in item 4, to unclog. When there is no disposal unit, you may unclog a kitchen sink with a plunger (one set aside for kitchen use). Put on a pair of rubber gloves. Step 1: Fill the sink halfway with hot water. Step 2: Plug the overflow hole with a rag. Step 3: Position the plunger over the drain, then work the plunger up and down until the water starts flowing out the drain. Pour four cups of boiling water in the drain. Run water from the faucet. If drain is still clogged, repeat the plunger process, then the baking soda and vinegar, if necessary. If the sink is still clogged, and you are not capable of using a cable auger, or do not have one, submit a work order in the system, notating what you have done, to no avail. 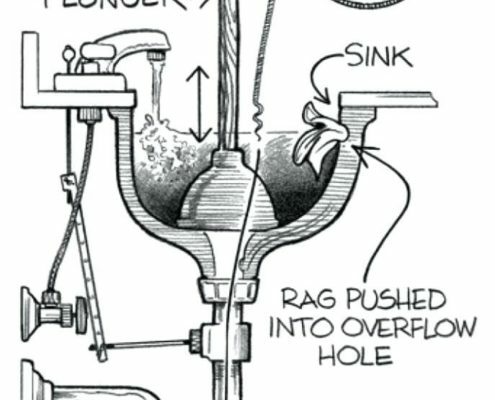 Usually the clog is caused by hair and gummy soap scum that get caught on the stopper or pivot rod and clogs the drain. Slow-moving or stopped-up drains are common in bathroom sinks. The good news is that you can clear it yourself, easily. Step 2: Unscrew the cap from the pop-up stopper and pull the stopper straight out of the drain. Step 3: Remove the hair and soap scum that is attached. Discard removed material in waste bin. Step 4: Hold stopper over the waste container, clean the pop-up stopper with warm soapy water. Step 5: Run hot water in sink to ensure that is no longer a clog. Step 6: If there is still a clog, take a regular wire coat hanger and straighten it out as best you can. Then, bend one end over to create a small hook. Push it into the drain and start fishing. You should be able to get any remaining hair and scummy stuff out of the drain. Remember, you always want to be pulling gunk out, not pushing it further in. When you’ve got as much out as you can, run the hot water, and it should clear things up nicely. 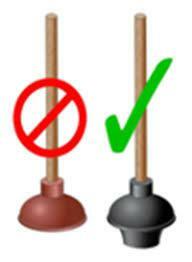 Item 7: If water is still not running smoothly, use plunger process, similar to plunging the kitchen sink clog. Still no result, submit a maintenance request (work order). Check that there are no unwanted objects in the toilet, such as a toy or feminine napkins, etc.. In each case, if you are not able to perform any of the checks and corrections, submit a work order immediately to sovereignrm.com annotating all observations about the problem. Submit a work order to sovereignrm.com. Check that the door latch is latching. Re-run an entire cycle and see if problem continues. Make certain that your detergent is intended for dishwashers. Do not use hand liquid dish soap in the dishwasher. Not enough water in the dishwasher. If the float gets stuck in the raised position, the dishwasher won’t fill with water. Another likely cause is a clogged inlet screen or faulty inlet valve. If the problem still persists, you could have hard water: Try this – Fill your dishwasher’s soap container about 3/4 full of baking powder. Add a few drops of your favorite dishwashing soap (Dawn, Lux, etc.) Add 1/4 cup of salt. Run your dishwasher. You have used dish soap instead of dishwasher soap. So scoop out as much water as you can and add two cups of white vinegar. Run for short time. Repeat the process until the soap suds have dissipated. Don’t forget to clean out the soap dispenser cup by hand. Important – identify where the water shut-off valve is located before there is a water leak emergency. Water leaks in the house. Check to see if the water is an overflow from any sink within the house. If so fix the overflow condition. Close any open valves that may have been left open and unclog as appropriate. Look in the basement or crawl space below your house, on a wall near the front. If your home is on a slab, the valve may be near your water heater or in the garage. Water running down and through the walls and/or ceiling. Is it a roof leak of HVAC leak? 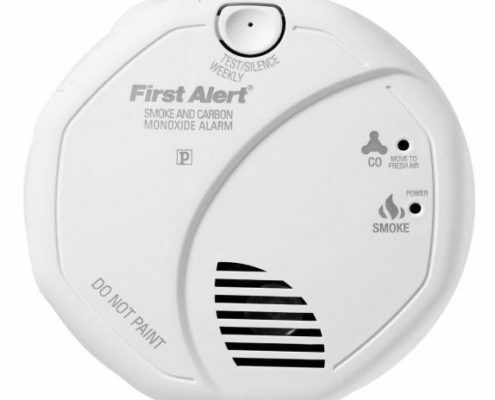 What is a Smoke Detector/Alarm A smoke detector (alarm) is a fire-protection device that automatically detects and gives a warning of the presence of smoke. A closed door may slow the spread of smoke, heat and fire. In today’s homes, install smoke alarms in every sleeping room and outside each separate sleeping area. Install alarms on every level of the home. 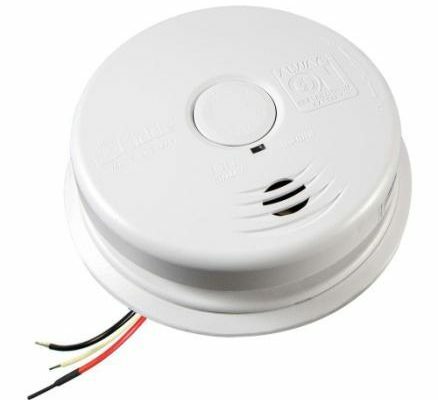 Hard-wired smoke alarms should be interconnected, so that when one sounds, they all sound. When a smoke alarm sounds, get outside and stay outside. Call the designated emergency or 911. If that doesn’t fix it, it may have lost power to the unit or have a loose connection. If you unplug the detector from the ceiling/wall, it will probably continue making noise because there is a back-up battery in most of them. If you take the battery out it still has enough power stored internally to beep 4-5 more times. 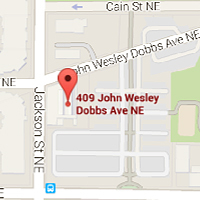 There is smoke/fire or it’s a false alarm. Most false alarms (chirping non-stop) are caused by dust in the sensor area of the detector. Usually fixed by blowing out with compressed air or vacuum. Very rarely, false alarms are caused by drastic temperature/weather changes, such as attic being 120 degrees and house at 75. Usually fixed by pushing the silence button (if it has one) and after a short time it will reset and hopefully not falsely go off again. Very rarely, false alarms are caused by air blowing directly on the detector (open window, ceiling fan blowing upward instead of downward, etc.). Usually fixed by re-directing air movement away from detector. Very rarely, false alarms are caused by a defective detector. Usually fixed by replacing detector. How do I test my fire alarm or smoke detector? Step 1: Alert family members that you will be testing the alarm. 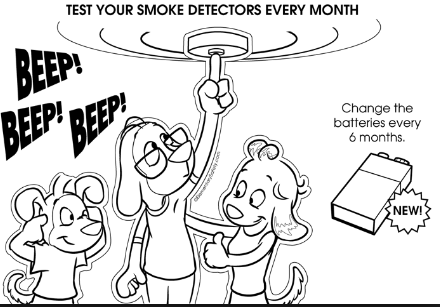 Smoke detectors have a high-pitched alarm that may frighten small children, so you’ll want to let everyone know you plan to test the alarms to help avoid scaring anyone. Step 2: Station a family member at the furthest point away from the alarm in your home. This can be critical to help make sure the alarm can be heard everywhere in your home. You may want to install extra detectors in areas where the alarm’s sound is low, muffled or weak. Step 3: Press and hold the test button on the smoke detector. It can take a few seconds to begin, but a loud, ear-piercing siren should emanate from the smoke detector while the button is pressed. If you purchased your own appliance, Ensure that you procured the warranty, as such call your warranty service personnel. Whether you’ve got a traditional top-loading washing machine or a more contemporary front-loading design, even the most dependable appliances will suffer from problems after years of use. Instead of contacting a repair center as soon as a problem occurs, many issues can be resolved with just a little know-how and some common household tools. Below is a short list of the most common washing machine issues that many residents may encounter. Again, before attempting any repairs on a home appliance, it’s important to unplug the device and wear the appropriate safety attire for the job at hand. Submit a work order to https://www.sovereignrm.com/tenants/maintenance-request/, otherwise contact your warranty service. Washer wobbling or excessively loud vibration. Check and adjust if washer is resting on uneven ground or the adjustable feet are not calibrated properly (place a level on top of the washer). 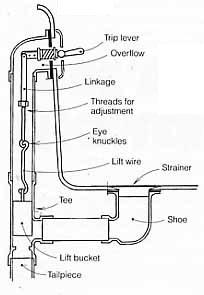 Inaccurate water levels and inconsistent water temperatures Problems with the inlet water connections behind your washing machine. There may the sediments (rarely) clogging at the connection at the machine. Ensure that inlet valves are turned off before checking. Read and follow the instructions for the model refrigerator that you have. Remove and discard unwanted and aged stuff from your refrigerator. Clean the shelves and sides with warm soapy water. Check that fridge is plugged in and getting power. The light should come on when you open the door. Be sure the vents on the back of the freezer compartment aren’t blocked by boxes of ice cream or frozen food —the vents have to be clear for cold air to circulate. Vacuum the coils under or behind the fridge. Clogged coils can cause poor cooling. Submit work order. 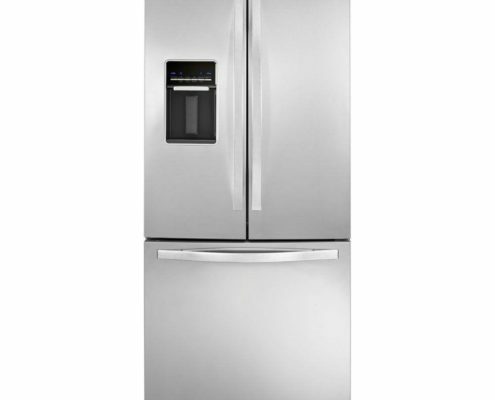 If it’s your fridge, contact your warranty service source. Defrost frozen drain. – Thaw any ice that is clogging the drain. Ensure drain is clear by using hot water and a turkey baster. 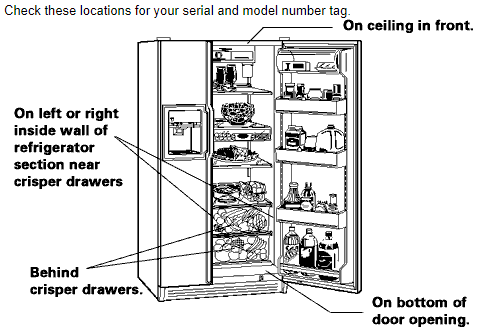 How do I find the model and serial # of my refrigerator? Inside the fresh food section, on the left wall near the top. Inside the freezer section, on the ceiling, or near the front. Check if there is power to the openers at the garage. Is the chord to the motor plugged in?. Check if the transmitter batteries are dead (remote control). Replace the batteries, and try again. Visually inspect the photo eyes (transmit invisible beam between each other) to see if they are aligned, they need to send signal to each other. Check if they are dirty or any obstruction blocking the beam. Clean both lens with simple combination of 50/50 water and vinegar using a soft rag or lens cleaning cloth. Check and align the sensors at the bottom corners of the garage door entrance (at floor level).